The new set was designed by David Weller of David Weller Design. 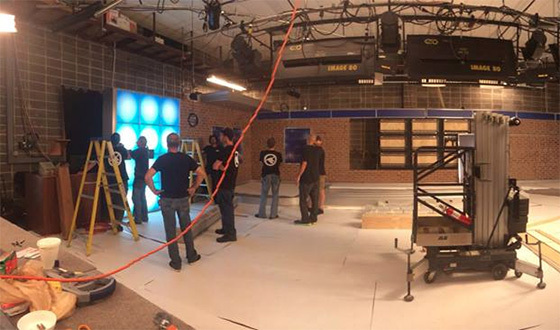 Media General’s WKRG-TV is hard at work installing a new set. Here’s the latest tease from the stations Facebook page. You can see brick walls beginning to take shape with a large monitor array camera center. The new set is expected to debut in a couple weeks.